Lea Ann Savage, a Vita-Mix demonstrator, is a reader who has conquered chronic fatigue through lifestyle changes associated with her diet. She contributed the popular item on Watermelon Sorbet and we invited her to share her story and some of her expertise on green smoothies. What she shared with us below is in my estimation the last word on Green Smoothies and just in time for summer, too. 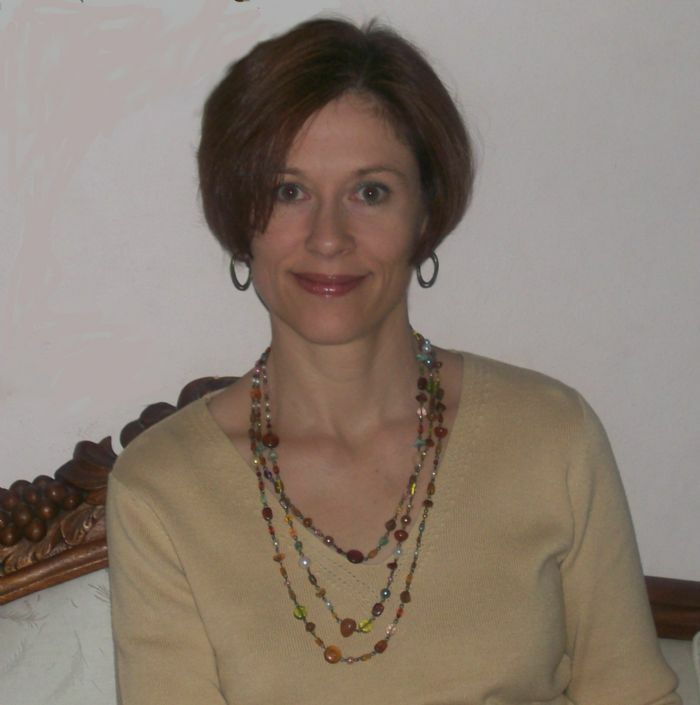 You can read more about Lea Ann at her website. I made three lifestyle changes that helped me to overcome my 7-year battle with Chronic Fatigue: 1) I got off all forms of processed Sugar, 2) I got off of all products that contain Wheat, and 3) I began drinking Green Smoothies daily. 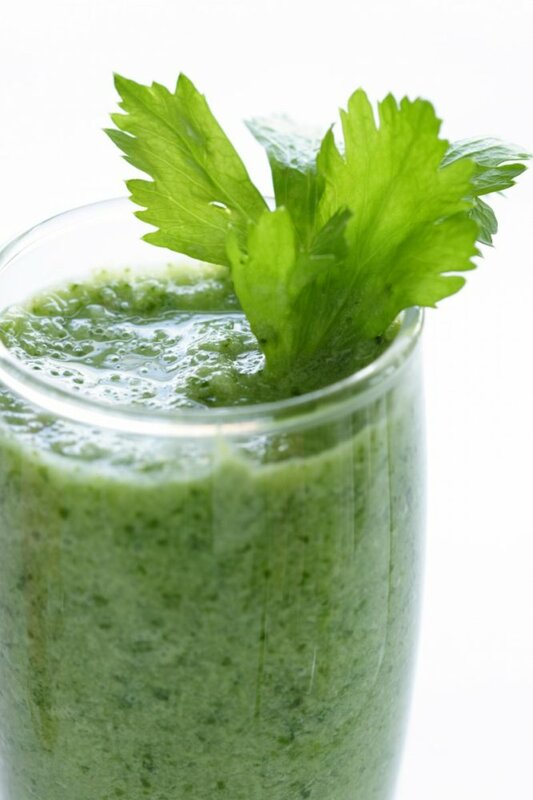 I learned about Green Smoothies from the book, “Green For Life” by Victoria Boutenko. Everyone needs more raw, dark green, leafy vegetables in their diet. Green Smoothies are the easiest and best tasting way to get mega-doses of fresh, dark greens into your body! Victoria’s Green Smoothies Blog which has a lot of very good information. You will get used to the taste of Greens over time. I like to joke with my audience that the Green Smoothie I serve to them is like a “Kindergarten” Green Smoothie and you can work your way up to Graduate Level 🙂 In the beginning, try the milder tasting greens and use a 60% fruit to a 40% greens ratio. Over time you can graduate to the more bitter tasting greens and change your ratio to 50/50 then 60 to 70% greens and 40 to 30% fruits. Or, you can just stick with whatever balance works best for you! I find that the more dark green leafy vegetables I can get into my diet, the less cravings I have for junk food and the more energy I have during the day. Cabbage* (good for preventing colon cancer) and remember, cabbage is one of the magic vegetables. Bananas are always good with fruits that are tart like raspberries and blackberries or, any greens that are on the bitter side because bananas are sweet. I use apples whole. I peel the orange part off of an orange, but leave the white pit because that is where most of the calcium, bioflavanoids, and vitamin C is located. The seeds of papaya are bitter – don’t use them! Pomegranit seeds are too bitter in a green smoothie as well. Citrus seeds and Green Smoothies with ANY form of Citrus can be consumed immediately, but if you try to store it for any length of time in the fridge (within 1/2 hour) the Citrus will turn the drink bitter. If you would like to have a Green Smoothie that is very smooth and “liquidy” you must start out with a mixture with enough frozen ingredients (either frozen fruits or ice) so that the Green Smoothie is very thick and “slushy”. As you blend, in about two minutes, the drink will turn liquid from the friction heat of the blades, but you stop the machine right at the time when it is still very, very cold but no longer frozen like a slushy. This allows you to break the ingredients down to the cellular (most bioavailable) level. Some people however prefer to just add more water and not blend for so long because they don’t mind a little fiber/texture in their Green Smoothie! It is all up to your personal taste. If your Green Smoothie has foam in it when you are finished making it, remember that you can turn the variable speed down to the lower speeds (just enough to create a tiny vortex in the top of the liquid) and run it for a while to remove the air bubbles. Thanks for your kind words. I am happy that you can use my information. Herewith and oldie, but goodie. Think of it as belated St. Patrick’s Day post. I heard some folks talking about green smoothies and remembered this wonderful work by Lea Ann Savage back in the early days of the blog.